You can purchase this video for free. Ever feel like you know you should be doing something else, but you have a hard time figure out what that something is? 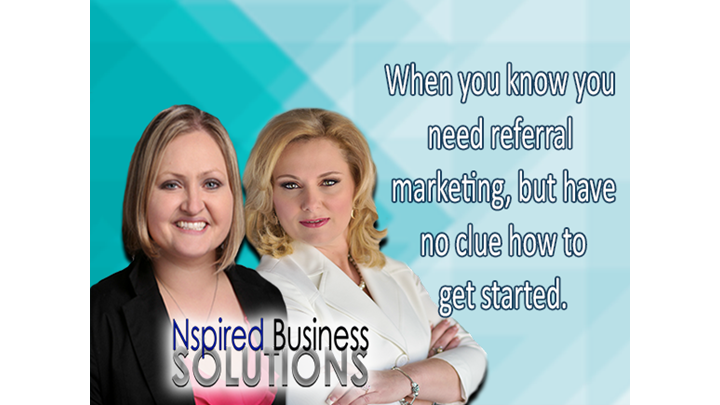 Join Amy D. Kilpatrick and Abby Boyd as we take you through the steps of discovering the secrets to adding referral marketing to your business growth plan. An Nspired Approach to Business Finance & Tax - Are you ready for 2018 taxes? You may have heard there big tax changes passed by Congress at the end of 2017. What are some of the most important changes? Join me as I talk about what changes will have the biggest impact during the 2018 tax filing season. Join Amy D. Kilpatrick, as she walks you through the steps of building a referral marketing team. Gain an understanding of how to this micro-power team can become a huge piece of your referral marketing strategy. Can an introvert truly master the art of referral marketing? Join Amy D. Kilpatrick and Julia Hoyle as they share tips for the introvert who wishes to grow their business using referral marketing as a growth tool. An Nspired Approach to Building Customer Loyalty - How to keep your customers happy! Why is customer loyalty so important? Customer loyalty affects not only your reputation but also your bottom line. Join David A. Crumbaugh and Julia Hoyle with Nspired Business Solutions as they share why it is important and will give you steps to increase customer loyalty. 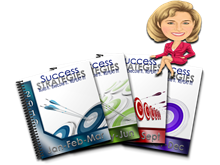 Immediate take away ideas to implement in your business today! Have a business that you are ready to launch? Then join me for this short webinar as take you through some quick tips to help you get your finances ready. Join one of the industries leading trainers in the field of referral marketing, Amy D. Kilpatrick, in her upcoming webinar, Unlock The Power of Referral Marketing: 5 Levels of Referrals.